Specifically designed and engineered for women with smaller grips, shorter straps and overall smaller dimensions to fit smaller women's packs. 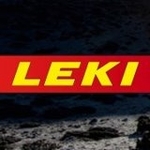 And now introducing LEKI's new Dynamic Suspension System as refined solution to reducing pole shock and vibration on the trail. The DSS is featured on LEKI's Micro Carbon Lady as a sophisticated, ultralite, super compact, yet FULLY functional answer to the growing “folding” pole category now features SpeedLock 2 for even more weight savings and secure performance. The push-button release mechanism allows for quick, easy assembly and knock-down to just 15.5". The TUV-certified Speed Lock 2 provides a 20cm adjustment range. 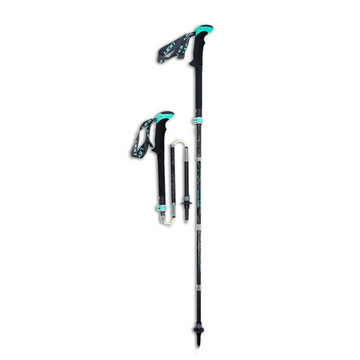 With Aergon Thermo foam grips and super lightweight carbon shafts, these trekking poles will be your constant companion and one of your most useful tools on the trail and peaks. Includes travel/stow bag.